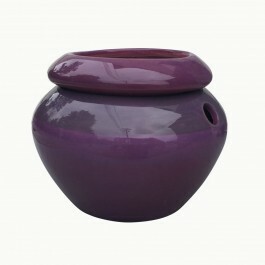 Measuring 6" wide x 5" tall with a 3.5" opening, these self watering planters take the stress out of caring for your plants. 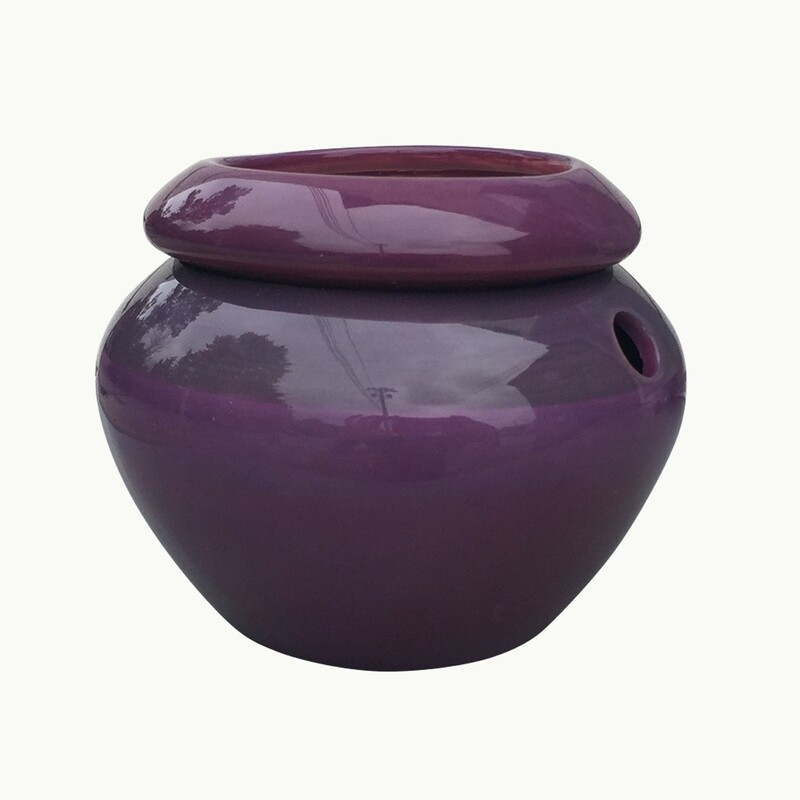 The purple urn shaped self watering planter consists of a 6" wide outer pot that acts as a reservoir, storing one to three weeks worth of water for the plant, and a porous inner pot with a 3.5" wide opening that allows water to seep into the soil as the plant requires moisture. Now you can go on vacation or leave the office for a week without worrying if your plants will be alive when you return! These self-watering planters are great for any moisture-loving plant, including, but not limited to, African Violets, Asparagus Fern, Boston Fern, Christmas Cactus, Chrysanthemum, Grape Ivy, Swedish Ivy, Peace Lily, Philodendron, Poinsettia, and Spider Plant. Directions and a list of appropriate plants are included. Made in Thailand. Plant not included.